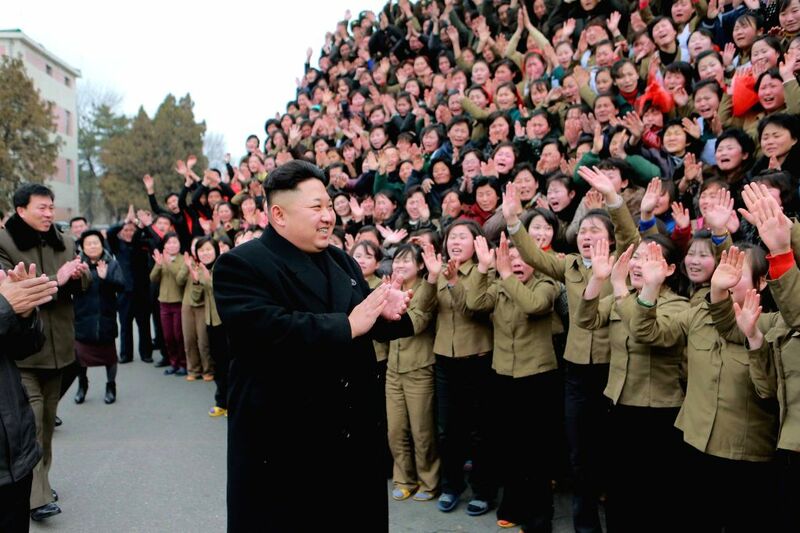 PYONGYANG, Dec. 20, 2014 - Photo provided by Korean Central News Agency (KCNA) on Dec. 20, 2014 shows top leader of the Democratic People's Republic of Korea (DPRK) Kim Jong Un (C) give field guidance to the Kim Jong Suk Pyongyang Textile Mill recently. 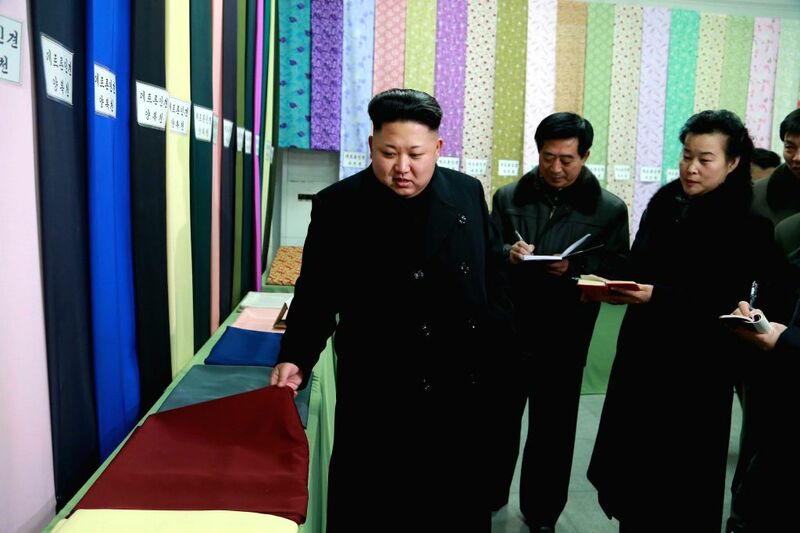 Kim Jong Un went round the rayon fabric shop, combined dyeing shop and other places of the mill to learn in detail about the production and quality of the products. Photo provided by Korean Central News Agency (KCNA) on Dec. 20, 2014 shows top leader of the Democratic People's Republic of Korea (DPRK) Kim Jong Un (1st L) give field guidance to the Kim Jong Suk Pyongyang Textile Mill recently.